Deferred Consumption: Indefinite detention without trial? Coming to a town near you. Indefinite detention without trial? Coming to a town near you. So, the Senate recently passed legislation (S.1867) reauthorizing military spending for 2012 in what’s called the National Defense Authorization Act (NDAA). 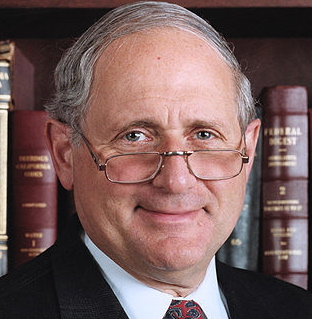 Curiously, this year John McCain and Carl Levin (photo to the right) introduced specific sections (1031 and 1032) of the bill which would allow for the indefinite detention of US citizens by the military. It passed 93-7 in a closed door meeting without any type of hearing. Last week, the US House of Representatives voted to “close portions of conference” related to their version of the bill (H.R. 1540), which would mean discussions on the house floor would not be made available to the public. Hmm. Closed-door discussions on giving the government the ability to detain US citizens indefinitely and without trial? It doesn’t take a conspiracy theorist to worry about this turn of events. As this NYU piece notes, it’s sad that the only display of bi-partisanship (the bill passed 93-7) politicians can muster comes when restricting the (6th amendment) rights of US citizens. See Jon Stewart's sharp take here. Senator Robert Udall from Colorado introduced an amendment to the bill which would have stripped it of its indefinite detention sections, but this legislation failed by a vote of 38-60. For now, the bill is under review by the House, but, as mentioned above, we won’t be able to follow their discussion. President Obama can veto the legislation (and has promised to), but his veto can be over-ruled by a two-thirds majority in the House and the Senate. You can learn how your Senators voted on this here (for those in Utah, Sen Hatch voted yes and Lee voted no; good for Senator Lee). Please write your officials a quick note voicing your disapproval of the current version of NDAA and express your support for the Udall amendment. While the thought of attacks against the U.S. is scary, it's much scarier to know that you could be falsely accused and imprisoned without trial. SkiLink is looking to take away YOUR land.